Good call on Thada Adel, Acquisitor, thank you zniwalla! For the rest I like Glory the most, could be very nice in here. 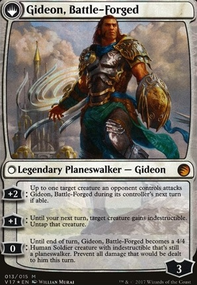 I thought about Edric when building the deck but I think he is not that good for you. 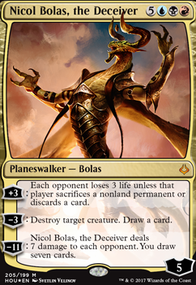 I attack with a single doublestrike creature and draw 2 cards, my opppnents can draw like 5-10 cards per turn with it, seems like a big disadvantage. How does it play out for you? So.. consider those as some suggestions. Phyresis seems weak, unless we look at some other options. Consider creatures with great abilities that would work with Phyresis and be great without it. 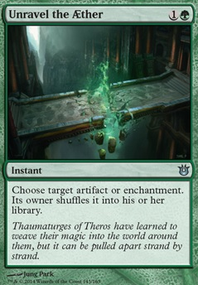 Here's something to consider, instead of Glorious Anthem effects what about more tools to make the deck more aggressive. Yes, +1/+1 for your creatures does help with the combat phase, but consider that you only need to attack for 10 points of 'damage'. 47552 Love the idea, really creative! I have some recommendations for you though. Onto the birds! First, if your play group doesn't mind un-cards, then Crow Storm is quite good. 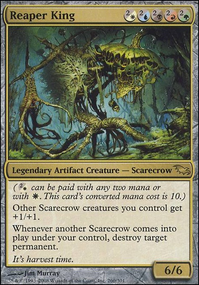 Other then that, Storm Crow itself, despite the memes, is not a bad card and is great in bird tribal. Murder of Crows is a really good finisher as it will deter board wipes and swing for 4 a turn. Mindshrieker is another good finsher. Swan Song and Essence Scatter are both great bird themed counterspells and Wing Shards is a great bird themed spell. Crookclaw Elder is a good draw engine and Impaler Shrike and/or Thieving Magpie add a good bit of draw. Keeper of the Nine Gales adds some great board control and helps disrupt the tempo of your opponent. Augury Owl gives some nice foresight to what is coming up and allows you to change the order or throw away the cards that are not needed. Finally, while not a 'bird bird', Soulcatcher is awesome at killing the opponent after some sacrifice shenanigans. I also have some general recommendations for the deck. Firstly, Culling Dais is awesome. It can tap and sacrifice a bird if that bird is destroyed, turning it into another card for later on. It gets even more ridiculous with Thrummingbird increasing counters. 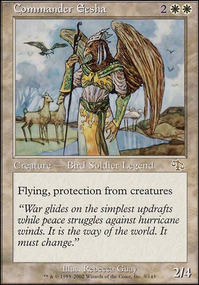 Deluge gives all of your birds pseudo-unblockable and Gravitational Shift beefs up your birds while your opponent's ground troops get weaker. Kangee, Aerie Keeper pumps the power and toughness of all your birds while Aven Mimeomancer makes your tokens bigger. Door of Destinies does similar things to Kangee. Tezzeret's Gambit is a nice draw spell that also adds counters. Glory stops damage cold. In this deck Grafted Wargear is better then Barbed Battlegear, despite the synergy with Soulcatchers' Aerie. Cataclysm is an awesome board wipe, especially with Soulcatchers' Aerie. 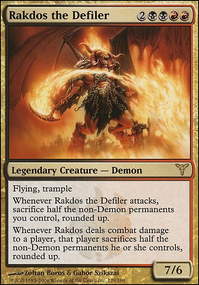 Masako the Humorless is nasty surprise for your opponent, especially with Glory chilling in the graveyard. Finally, with land I recommend using Nimbus Maze and Sejiri Refuge. I also recommend having 20 lands, but if 18 works, by all means, keep using 18. I hope this helps! If you would like any help with cuts, just ask, I'll be happy to help! Hi! Here are some inexpensive cards to improve the pre-con! For the mana base, check out this website. That'll give you all the options in your colors. It'll also tell you the artifact and ramp options! Remember, 37 lands, 10 ramp, 47 mana sources total. Protection: Glory, Boros Charm, Rootborn Defenses, Eldrazi Monument... your tokens are the most important part of your strategy. Protect them! 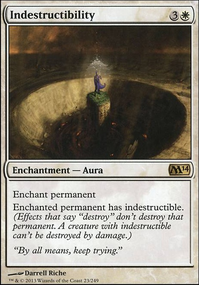 Bounce effects like Restoration Angel, Flickerwisp and Conjurer's Closet or even like Whitemane Lion or Stonecloaker could be beneficial since when your cards reenter they don't have any counters. Another thing that would help is having a great recursion package that doubles as an infinite combo. By that I mean Reveillark and friends! Karmic Guide, Sun Titan, Fiend Hunter, and a couple good sac outlets. 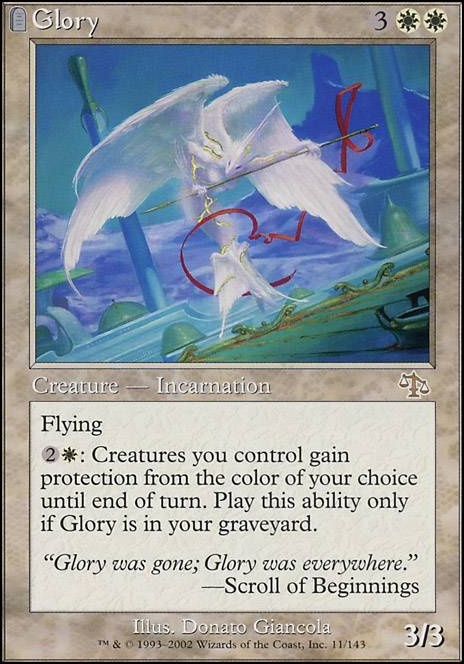 Giving your creatures protection from his colors is also very strong Akroma's Memorial and Glory would be very helpful.